Musical Pipes is proud to offer a variety of products for the cheapest prices on the web. Browse below to see what handheld pipe chime products we offer. We understand that sometimes it is just easier to purchase pipe chimes, music, storage bags and stands that are already made. You might also think to give these items as a gift – which will be sure to surprise and excite those that receive them. Use our custom orders form if you’d like to build your set a little differently. Two shops to choose from! 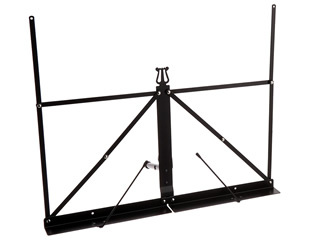 Same prices, similar shipping costs, tabletop music stand only sold through Square Shop. Most popular set. 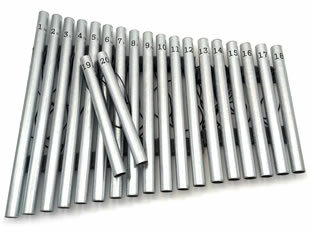 Can be used as a xylophone for 1 person or a bell choir for 23 people. Set includes 23 handcrafted handheld pipe chimes with labels and handles, 14 metal strikers, fabric storage bag, 8 holders and 2 mallets. 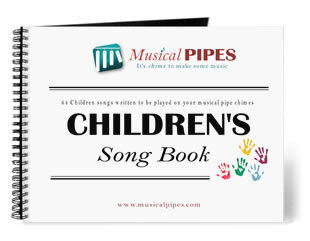 Great for group gatherings and is sure to put a smile on everyone’s face as you play songs together. Set includes 23 handcrafted handheld pipe chimes with labels and handles, 14 metal strikers and a custom fit fabric storage bag. Set includes 23 handcrafted handheld pipe chimes with labels and handles and a custom fit fabric storage bag. Don’t forget to supply your own striker to hit your chimes with since this set doesn’t come with one. 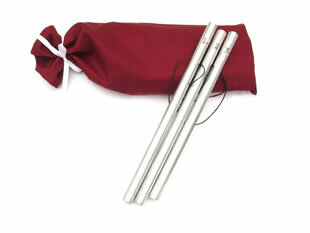 Set includes 23 handcrafted handheld pipe chimes with labels and handles and 14 metal strikers. This is a simplified set where you have only what you need to play a song. Set includes 23 handcrafted handheld pipe chimes with labels and handles. 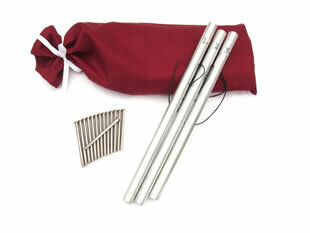 If making the pipe chimes is the hardest part then we’ve done the work for you with this set. The rest is up to you to customize how you want. 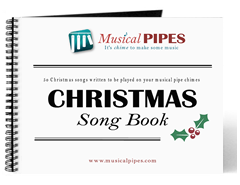 Spice up your Christmas pipe chime playing tradition with this beautiful full color song book. 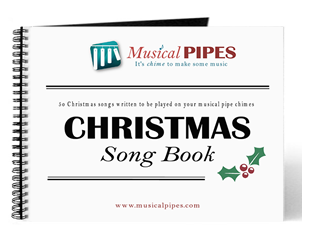 Start enjoying 53 popular pipe chime Christmas songs! 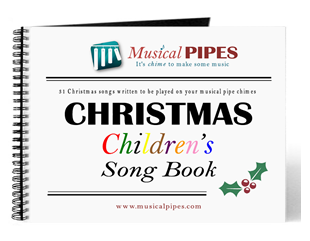 Now you can enjoy Christmas pipe chime music with the whole family with this children’s song book. Each note/chime is color coded to allow for younger children to chime in. Enjoy playing pipe chimes throughout the year by playing these songs for family home evenings or just for fun. 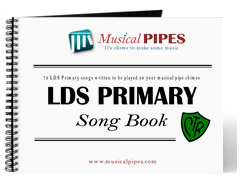 Kids will love to play these familiar primary tunes on the pipe chimes. 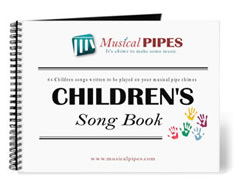 Over 50 fun familiar children songs all written for your pipe chime set. These tunes will certainly bring a smile to your face as you watch your kids learn and play them. 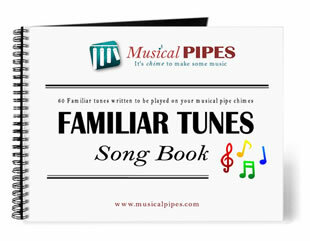 60 fun familiar tunes that you and your friend or family can play together. These fun folk songs, traditional songs and even camp fire songs will be a lot of fun to play all year round. 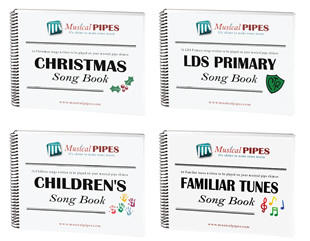 Save some money and get our four pack of digital download (PDF) song books. You’ll be ready to play all year round with this collection of over 240 songs. 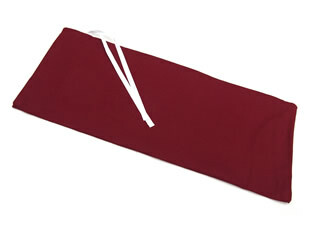 Protect your handheld pipe chimes and transport them with ease with this custom fit fabric pipe chime storage bag. 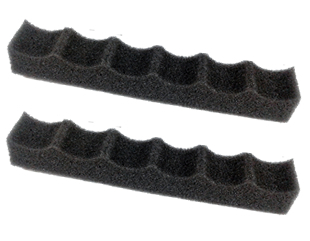 Made from thick durable material that ties a the top. Will fit everything in our largest full set. 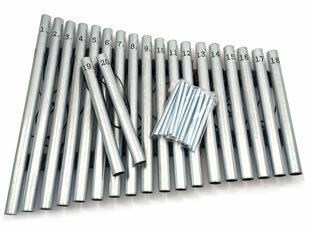 Play your pipe chimes a whole new way (like a xylophone) that doesn’t require a large group of people . Great for helping kids get involved with music! 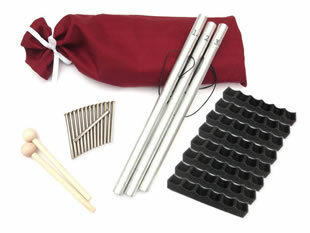 Each holder set can hold 6 pipe chimes and are great for single players. 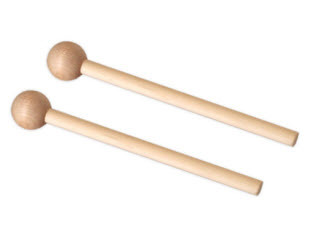 Create a more mellow sound with your pipe chime with these six inch wooden mallets. Made primarily for use with our pipe chime holder sets. Comes in quantities of 2. 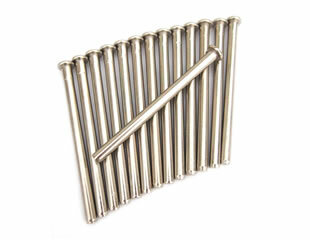 Keep a complete set of 14 metal strikers for your handheld pipe chime set so you don’t have to hunt for clean spoons to hit your chimes with. Comes in a small plastic bag. Take this portable tabletop music stand with you so you can easily see your song books as a group or when playing your chimes like a xylophone. Separate black storage bag is included.